Horace Mann & Barnes & Noble Educator Drawing! 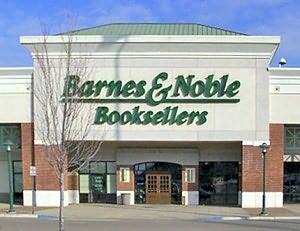 Saturday April 27, 2019 10:00 AM Pre-K to grade 12 educators with a valid B&N Educator card who shop between 10AM-12PM today will be entered into a drawing with local educational partner Horace Mann, represented by Martha Bourgeois. There will also be giveaways, educator loan help information, and other cool treats!